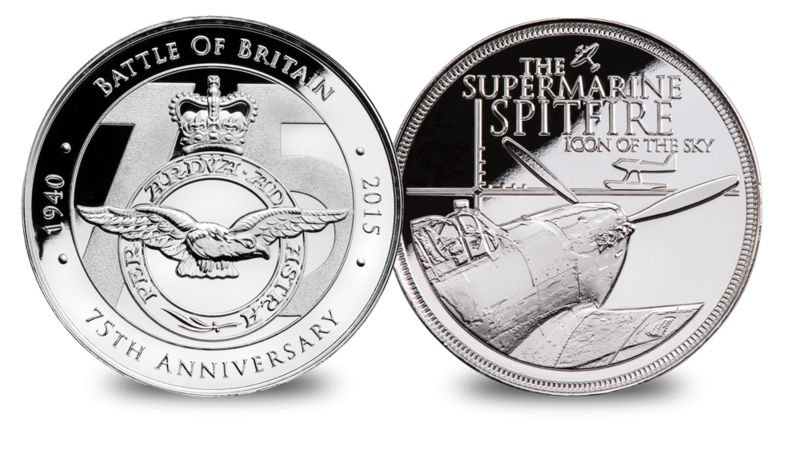 2016 marks the 80th Anniversary of the Supermarine Spitfire's Maiden flight. The Spitfire was the most iconic aircraft in the Royal Air Force's aviation history and is deeply ingrained in the hearts and minds of the British people. Officially authorised by the Royal Airforce Association and crafted by Worcestershire Medal Service, medallists to HM Queen Elizabeth II this striking medal is struck in solid bronze and layered in pure silver and is a lasting tribute to our ‘heroes of the sky’ - the planes that saved Britain from certain invasion. 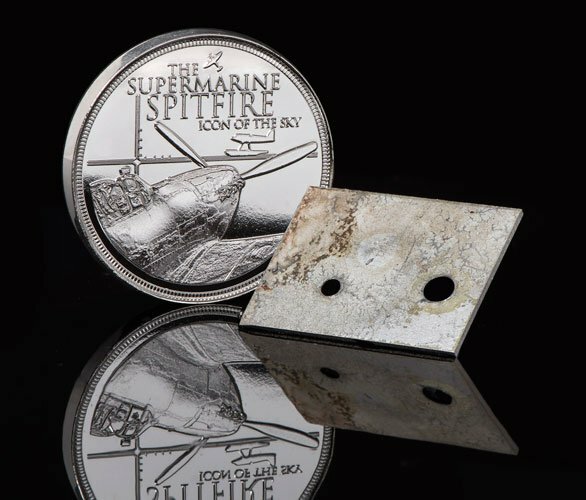 Paying tribute to our nation’s most iconic aircraft this Proof quality medal depicts a Supermarine Spitfire poised to take to the sky. The inscription reads “THE SUPERMARINE SPITFIRE ICON OF THE SKY”. Presented together with the medal in an archival case is a genuine piece of metal from a Biggin Hill stationed spitfire ‘The Spirit of Kent’. 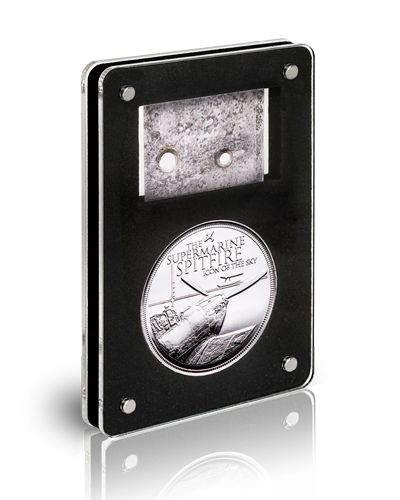 A signed Certificate of Provenance and Certificate of Authenticity confirm the origin of the metal and the commemorative's limited edition status.